L-R: PhD student Neil Vaughan, Professor Michael Wee and Dr Venky Dubey. 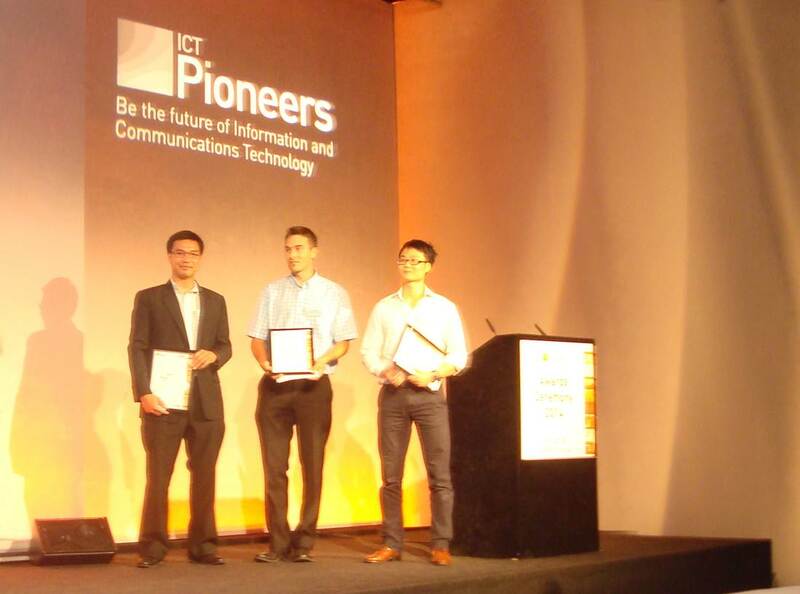 BU’s Dr Neil Vaughan has won the EPSRC’s ICT Pioneers ‘Transforming Society’ award. The accolade, which recognises the most exceptional UK PhD students, was awarded to Neil at a ceremony in Westminster last week for his innovative epidural simulator project. Dr Vaughan developed the medical device alongside anaesthetists at Poole Hospital NHS Foundation Trust. The simulator uses software to replicate the epidural process, thereby assisting in training for this delicate procedure that is performed over 1000 times each day in the UK. The clinical project was proposed by the senior consultant anaesthetist at Poole Hospital, Professor Michael Wee, who also co-supervisor the PhD along with BU’s Associate Professor Dr Venky Dubey. Dr Vaughan’s work was judged by a panel of technical experts from academia and industry. He triumphed through a rigorous selection process over a six month period, which included a written proposal, video and poster presentation. This culminated in a high-profile research showcase, where finalists pitched their project to representatives from the EPSRC, Hewlett Packard, Defence Science and Technology Laboratory (DSTL), BT and an audience of hundreds. The winning device uses software to replicate the epidural procedure, incorporating ultrasound with MRI images to assist training epiduralists in determining the position of the epidural needle. This has not been done in previous or current epidural simulators. Unlike existing epidural training technology, this prototype simulator incorporates patient weight, height and BMI. This is more realistic and, coupled with a physical manikin, gives a realistic model for training. An accompanying training package allows epiduralists to monitor their improvement. This prototype simulator allows epiduralists to practise on something that closely resembles the real person. If widely adopted this could reduce the learning curve, making epidurals more effective and potentially reducing the risk to patients. This may be translated into savings to the NHS in the form of a reduction in compensation claims. The team are currently in discussions with industry partners to develop the simulator further. They are working with NHS Innovations South West, who develop and take forward new innovative ideas – both products and services – to enhance healthcare delivery. The research team’s ultimate aim is to create a high fidelity epidural simulator with incorporated sound and vision true to the labour environment. This will increase the realistic experience of training, similar to that of a flight simulator.